This Addendum to Master License Agreement, including all Exchange Specific Terms set forth at the end of this Addendum with respect to specific exchanges (collectively, this “Addendum”), together with the terms of the Vela Master License Agreement (“MLA”), is an integral part of the Order Form executed by Vela and Customer for Vela’s data services, as specified in the Order Form. The terms set forth in this Addendum apply to the Market Data (as defined below) to be provided by Vela to Customer and are in addition to the terms set forth in the MLA and the Order Form. In the event any provision of this Addendum is directly contrary to a provision of the MLA, this Addendum shall take precedence. In the event any express term of the Order Form is directly contrary to any term of this Addendum, that provision in the Order Form shall take precedence. Additionally, any separate written agreement between Customer and the applicable Disseminating Party (as defined below) shall prevail over the terms of this Addendum and the MLA with respect to Customer’s use of the Disseminating Party’s data. Customer also agrees to be subject to any additional terms specific to Market Data provided by a respective exchange, as listed in Appendix A to this Agreement. Customer acknowledges that each exchange may revise its Market Data rules from time to time and Customer is responsible for compliance with all such rules applicable to client’s use of any Market Data. 1.1 This Addendum may be suspended by Vela as to any category of Market Data, immediately (i) upon the request of a Disseminating Party; (ii) if a Disseminating Party, for whatever reason, interrupts the provision of market data; or (iii) in the event Customer fails to pay to Vela the fees associated with the receipt and use of Market Data, as set forth in the relevant Order Form. Any additional data or other services requested by Customer to be procured for Customer by Vela shall be at Customer’s expense and invoiced by Vela. 1.2 This Addendum shall automatically terminate as to any category of Market Data upon the Disseminating Party’s revocation of Customer’s right to receive the Disseminating Party’s data or direction to Vela to cease providing that data to Customer. 2.1 Vela grants to Customer a limited, non-exclusive, non-transferable (except as explicitly set forth below), revocable, world-wide license during the term of this Addendum, only for the internal transmission and distribution of the data provided hereunder (the “Market Data”) by users that are employees of Customer and engaged only in carrying out the business of Customer (each, a “User”). The defined term Market Data includes live data which is Market Data streamed in real time to Customer directly from Vela’s data centres (“Live Market Data”) and historical market data which is Market Data that has been captured and redistributed after market close (“Historical Market data”). 2.2 In consideration for the supply of the Market Data and the right to use it in accordance with the terms of this Addendum, Customer will pay Vela the Charges as indicated in the relevant Order Form. 2.3 Customer may not modify its usage type (as set forth in the Order Form) without 30 days’ prior written notice to Vela, and any costs to modify incurred by Vela shall be at Customer’s expense. 2.4 Customer is responsible for its non-display usage being pursuant to, and in conformance with, an agreement with each applicable Disseminating Party, and Customer shall hold Vela harmless for any non-conformance by Customer or its Users with such agreement with any Disseminating Party. 2.5 Customer is responsible for ordering their own cross connects, the cost of which are not included in the Order unless expressly referenced. Each cross connect is solely to be used for connectivity into the Vela environment. Customer acknowledges that latency or delivery for internet-based connectivity cannot be guaranteed to the same standard as dedicated connectivity. Vela reserves the right to immediately disconnect Customer Internet VPN connections if connections, in Vela’s sole opinion, cause (i) a material delay to Vela’s TCP publishers; (ii) a negative impact to the performance of Vela’s environment; or (iii) negatively impact the Vela environment for Vela’s other clients. 3.1 The terms set forth herein will, in every instance, be unilaterally applicable to Live Market Data. However, the applicability of such terms to Historical Market Data shall be dictated by industry standards and best practices. In the event, there is a dispute between Vela and Customer regarding the applicability of any terms with respect to Historical Market Data, the respective Disseminating Party will have sole right to determine such applicability. 3.2 Customer may only receive such categories of Market Data as Vela or a Disseminating Party, as applicable, has approved for Customer’s receipt and use. For purposes of this Addendum, the term “Disseminating Party” means a party that supplies Vela with Market Data for redistribution to Customer. 3.3 Notwithstanding Section 3.1, if Customer is a financial securities professional, such as a registered broker-dealer or investment adviser, Customer may occasionally furnish limited amounts of Market Data to its clients and to Customer’s branch offices, so long as such Market Data is furnished solely in the regular course of its securities business in accordance with the rest of this Section 3.3. Customer may furnish Market Data to its customers and clients who are not on Customer’s premises solely (1) in written advertisements, educational material, sales literature or similar written communications or (2) during telephonic voice communication not entailing the use of computerized voice synthetization or similar technology. Customer may furnish Market Data to its branch offices solely (a) as provided in the preceding sentence or (b) through manual entry of the data over its teletype network. The foregoing rights to furnish Market Data are expressly subject to Customer’s obligation to indemnify and hold Vela harmless from any and all Claims arising in connection with the furnishing of such Market Data as set forth in Section 10. Customer shall not permit any customer or client to take physical possession of Market Data Equipment. Customer shall abide by any additional limitations that Vela or any Disseminating Party may specify in writing, either directly or through Vela. 3.4 Except as expressly provided in Section 2, Customer shall not in any way, directly or indirectly use, display, access, transfer, re-distribute, reference, re-sell or sub-license the Market Data, and/or use the Market Data (or any of the information contained therein) for any illegal purpose or to bring Vela or the Disseminating Party, or their respective members, businesses or markets into disrepute. 3.5 Customer shall not alter the Market Data. Customer shall not retransmit or otherwise furnish all or part of the Market Data to any third party, whether directly or indirectly, by Customer’s own actions or through any other person or organization, or in any way facilitate access by a third party to the Market Data, other than with the prior written consent of Vela and the applicable Disseminating Party. Customer shall not make its user ID available to any other person. The failure to comply with these restrictions shall result in the termination of the provision of the Market Data. 3.6 Customer shall ensure that its Users comply with all of Customer’s obligations under this Addendum. Customer is responsible for the use of the Market Data by its Users. 3.7 In authorizing Vela to take any action, or to receive any communication, this Addendum authorizes Vela to act on its own behalf and on behalf of the Disseminating Parties. Any Disseminating Party may enforce this Addendum as to Market Data that originates on or derives from its markets, by legal proceeding or otherwise, against Customer and may likewise proceed against any person that obtains its Market Data other than as this Addendum contemplates. No act or omission on the part of Vela and no other defense that might defeat recovery by Vela against Customer shall affect the rights of the Disseminating Parties as third-party beneficiaries under this Addendum. Customer shall pay the reasonable attorneys’ fees that any Disseminating Party incurs in enforcing this Addendum against Customer. Notwithstanding the foregoing, Vela and the Disseminating Parties reserve all rights, at law and equity, with respect to their respective rights in and to the Market Data. 3.8 The terms of Appendix A shall apply to the use of certain Market Data received from the applicable Disseminating Party as set forth therein. 3.9 Any display or publication created by Customer that incorporates the Market Data must clearly show whether the Market Data is real time or delayed or historical and must not be misleading as to the time when it was originally provided by the Disseminating Party. The period of delay or time of original transmission of the Market Data is noted in all displays of delayed Market Data. Customer shall comply with any other Market Data display requirements as Disseminating Parties may specify from time to time. 3.10 Customer agrees to provide any Disseminating Party or Supplier any information for which Supplier is required by law to obtain and is responsible for any usage charges invoiced by Disseminating Party or Supplier, including any administrative charges. 4.1 Customer acknowledges and agrees that all intellectual property rights embodied in the Market Data (including, but not limited to, all patent rights, inventions (whether patentable or not), concepts, ideas, algorithms, formulae, processes, methods, techniques, copyrights, copyrightable works, trade secrets, know-how, trademarks, trade names, and compilation or database or other rights in information gathered from other sources), are the sole and exclusive property of Vela, the Disseminating Party, or their licensors, as applicable. Vela, the Disseminating Party, or their licensors, as applicable, shall retain all right and title to all proprietary rights in the Market Data and to any other intellectual property owned or otherwise provided by Vela, the Disseminating Party, or their licensors. Customer shall not have the right to use the intellectual property rights embodied in the Market Data for any purpose other than that set forth in Section 2. 4.2 Customer shall not remove or alter any intellectual property ownership and/or identification notices within the Market Data, or use the names or trademarks of Vela or the Disseminating Parties in any way that would infringe upon such names or trademarks. Customer shall not misrepresent Market Data or display the Market Data in such a way as may create a false or misleading impression as to the origin, meaning or value of any item of Market Data. 4.3 Customer shall ensure that the relevant Disseminating Party or other sources of Market Data specified by Disseminating Parties as the source(s) of Market Data, and Vela where applicable, shall be named as the information source whenever Market Data is displayed. Customer shall quote a copyright notice naming the relevant Disseminating Party as the source of the Market Data on any supporting materials containing the Market Data. 4.4 Customer shall not use the names or trademarks of Vela or the Disseminating Parties in any advertising or marketing materials, except with the prior written consent of the owner of the name or trademark. 4.5 Customer acknowledges that in the event of a breach of this Section 4 by Customer or any of its Users, substantial injury could result to Vela or the applicable Disseminating Party and money damages will not be a sufficient remedy for such breach. Therefore, in the event that Customer or any of its Users engage in, or threaten to engage in any act which violates any provision of this Addendum, Vela and the applicable Disseminating Party shall be entitled, in addition to all other remedies which may be available to it at equity or under law, to seek injunctive relief (including, without limitation, temporary restraining orders, or preliminary or permanent injunctions) and specific enforcement of the terms of this Addendum. Vela and the applicable Disseminating Party shall not be required to post a bond or other security in connection with the granting of any such relief. 4.6 Nothing in this Addendum entitles Customer to make use of any trademarks in the Market Data beyond such use as occurs through the ordinary use of the Market Data in accordance with the terms of this Addendum. 5.1 Customer shall provide any reports reasonably requested by Vela relating to Customer’s performance of its obligations under this Addendum, including the tracking of Users and the payment of fees. 6.1 Customer shall ensure that Market Data is protected to prevent unauthorized access. In addition, Customer shall ensure that its employees and agents observe the requirements of the Data Protection Act 1998 and any amendments or revisions thereto and all subordinate legislation in the performance of their obligations under this Addendum and shall comply with any request made or direction given by Vela or the Disseminating Party which is directly due to the requirements of such Act. 6.2 Customer shall bear all responsibility for the confidentiality and use of all mnemonics, identifications or passwords including (without limitation) Users use of the same. Customer shall notify Vela immediately if Customer learns of any loss, theft or unauthorized use of any mnemonics, identifications or passwords. 6.3 Customer may only receive such categories of Market Data as the applicable Disseminating Parties have approved for Customer’s receipt and use. Except as otherwise set forth in an agreement between Customer and a Disseminating Party, Customer shall receive Market Data solely for its own internal use and shall not retransmit or otherwise furnish Market Data to any third party. Customer shall not misrepresent Market Data or deface or remove any trademarks or proprietary rights notices transmitted with the Market Data. Customer shall not use Market Data for any unlawful or unauthorized purpose. Customer’s use of Market Data shall comply with all applicable laws and regulations and all applicable agreements with Disseminating Parties. 6.4 Customer shall ensure that Customer or, as applicable, Customer’s partners or officers and employees, have sole control or physical possession of, and sole access to Market Data through, Market Data Equipment. For the purposes of this Addendum, “Market Data Equipment” shall mean any display device, computer, software, wires, transmission facility or other equipment by which Customer receives, displays or otherwise uses Market Data. Customer understands that this Section 6 requires Customer to carefully locate and protect Market Data Equipment so that to the extent reasonably possible, no person can have unauthorized access to Market Data. Customer shall abide by any requirements that Vela specifies in writing, either directly or through Vela, to regulate the location or connection of Market Data Equipment or otherwise to assure the safeguarding of access to Market Data and compliance with this Section 6. Customer shall ensure that any person or entity installing or maintaining Market Data Equipment will comply with this Section 6. Customer shall use its best efforts to prevent any persons from obtaining Market Data through Market Data Equipment or facilities, except as authorized under this Addendum, and shall use its best efforts to ascertain the source and manner of Market Data being obtained. Customer shall cooperate with and assist Vela in preventing or identifying and ending, any unauthorized receipt, display, redistribution or use of Market Data by any such person. Customer shall promptly notify Vela of any unauthorized receipt, display, or redistribution of Market Data known to Customer. 6.5 Upon Vela’s request, Customer shall provide authorized representatives of Vela with access to the premises at which Market Data Equipment is located, and, in the presence of Customer’s officials, the rights to examine the equipment and to observe Customer’s use of the equipment and Customer’s receipt and use of Market Data. 7.1 Vela reserves the right to determine the form and contents of the Market Data and to modify and supplement from time to time the technical, functional, administrative and operative methods of supply of the Market Data, wherever necessary for complying with the requirements of a Disseminating Party or applicable laws, regulations, or rules. 7.2 Vela reserves the right to modify the technical conditions of the connection and undertakes to inform Customer of any modifications made to the connection as well as of the date on which such modifications shall come into effect. 7.3 Customer acknowledges that a Disseminating Party may require an amendment to the terms upon which Market Data is distributed. Accordingly, Customer and Vela agree to negotiate in good faith to amend this Addendum to comply with such requirements. 7.4 In addition to any other remedy, Vela may immediately suspend or terminate distribution of Market Data, in full or in part, to Customer, if Vela has reason to suspect non-compliance with any of the terms of this Addendum or if Vela is required to do so by a Disseminating Party for any reason. 7.5 Vela shall be entitled to review and adjust the Charges by notifying the Customer in writing thirty (30) days prior to each renewal of any Order Form (a “Rate Adjustment”). Adjustments to the Charges shall not exceed either the increase in the Consumer Price Index for the prior twelve months or 5%, whichever is higher. The Customer may, within thirty (30) days from the notification of such Rate Adjustment, provide Vela with three (3) months’ written notice of termination of this Addendum. If the Customer terminates this Addendum under this Clause 7.5, such Rate Adjustment shall not apply for the remainder of the term of this Addendum. 8.1 Customer represents, undertakes and warrants on a continuing basis that it will comply with all applicable laws, rules and regulations and will co-operate fully with any inquiry regarding Customer’s interaction with the Market Data by any applicable regulatory organization. 8.2 Customer shall not utilize the Market Data for unlawful purposes or in such a manner as to damage the reputation of Vela or any Disseminating Party. 9.1 Customer acknowledges that access to the Market Data may from time to time be unavailable, delayed, limited or slowed due to, without limitation, hardware failure, software failure, interruption of power supplies, maintenance, governmental or regulatory restrictions, exchange rulings, court or tribunal orders or other human intervention; or any other cause (whether similar or dissimilar to any of the foregoing) whatsoever beyond the control of Vela. 9.2 Customer shall be solely responsible for any opinions, recommendations, forecasts or other comments made or actions taken by Users based (in whole or in part) on the Market Data. 10.1 Customer shall indemnify, defend and hold harmless (1) Vela, (2) all Vela affiliates and any of their respective officers, directors, employees, agents and representatives (3) the Disseminating Parties, and (4) any person relying upon the Market Data received by Customer, from any and all claims arising out of, in connection with, resulting from or related to (a) any use, including, without limitation, any redistribution, of Market Data by Customer or any User, (b) any claim that (i) any component of the equipment and/or software used in connection with the provision of the Market Data (other than Vela equipment) or (ii) the manner of the use made of the Market Data infringes any patent, copyright or other intellectual property or property right, and (c) any failure to comply with obligations under this Addendum, including breach of warranties. EXCEPT TO THE EXTENT SUCH LIABILITY CANNOT BE DISCLAIMED UNDER APPLICABLE LAW, NO DISSEMINATING PARTY WILL BE LIABLE IN ANY WAY TO CLIENT, ANY OF ITS AFFILIATES, ANY USER, OR ANY THIRD PARTY FOR (1) ANY INACCURACY, ERROR OR DELAY IN, OR OMISSION OF ANY MARKET DATA, INFORMATION OR MESSAGE OR THE TRANSMISSION OR DELIVERY OF ANY SUCH MARKET DATA, INFORMATION OR MESSAGE OR (2) ANY LOSS OR DAMAGE, WHETHER DIRECT, INDIRECT, SPECIAL, CONSEQUENTIAL, INCIDENTAL, PUNITIVE OR OTHERWISE, INCLUDING, WITHOUT LIMITATION, ANY LOSS OF ANTICIPATED PROFITS, TRADING LOSSES, OR LOSS BY REASON OF SHUTDOWN IN OPERATION OR FOR INCREASED EXPENSES OF OPERATION, ARISING FROM OR OCCASIONED BY (A) ANY SUCH INACCURACY, ERROR, DELAY OR OMISSION, (B) NON-PERFORMANCE, (C) INTERRUPTION IN ANY MARKET DATA, INFORMATION OR MESSAGE, OR (D) RESULTS ATTAINED. 12.1 Vela and the Disseminating Parties shall have the right to carry out, either directly or through designated third parties, inspections and audits at the offices of Customer and/or Users and/or third parties engaged by Customer to carry out activities relevant to the subject matter of this Addendum, to inspect systems, controls, books and records, insofar as they relate to the distribution of the Market Data and any money payable to Vela. Such auditing right shall survive the termination of this Addendum for any reason whatsoever, for a period of two (2) years thereof. Customer and/or User shall make available, for the period in which the audit is held, at least one competent employee and sufficient logistic resources, for any audit related matter. Such employee shall be available during normal business hours. At the request of Vela, Customer shall have audited, by an independent certified public accountant satisfactory to Vela, any reasonable requested list, report or information relating to Customer’s use of Market Data. Customer shall comply with this Section 12 by such methods, in such format and within such time parameters as Vela may reasonable specify. 12.2 Customer shall keep, and, if applicable, shall cause its Users to keep complete, accurate and up-to-date records relating to the use and distribution of Market Data and to the associated operational controls, sufficient to demonstrate the compliance with this Addendum and to identify all sums payable to Vela in accordance with this Addendum. Such records shall be maintained for a minimum of five (5) years and made available to Vela and the Disseminating Parties on request for audit inspection. 12.3 Customer shall be responsible for notifying Users of any audit required in accordance with this Addendum and shall ensure full cooperation by Users with the preparation, carrying out and completion of any audit. 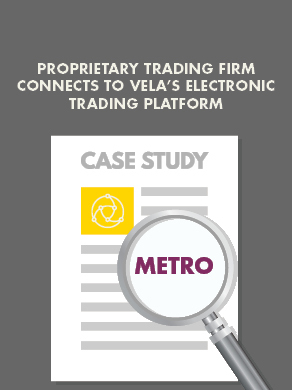 Some Disseminating Parties require Vela to provide personal data such as names and user ID’s of Customers and their Users in order to control the use of the Market Data and to verify Vela’s compliance with reporting obligations. In order to comply with applicable laws, Customer agrees to obtain explicit consent from all Users to transfer such personal data to the Disseminating Parties within the European Union and outside the European Union and within the United States and outside the United States for these purposes. 12.4 In the event that any inspection made pursuant to this Section 12 reveals an underpayment of more than ten per cent (10%), Customer shall bear the reasonable costs and expenses of such inspection, in addition to any other rights and remedies Vela may have in respect thereof. Prompt and correct payment of any money due to Vela under this Section 12 shall be of the essence of this Addendum. 12.5 Customer agrees that, at any time, Vela and the Disseminating Parties may discontinue disseminating any category of Market Data at all or in any particular manner, may change or eliminate any transmission method and may change transmission speeds or other signal characteristics. Vela and the Disseminating Parties, in their sole discretion, may make changes, modifications or deletions to Market Data, to its or their communications facilities and to it or their decisions, policies, operating procedures, requirements, and other documentation, including, without limitation, any user guides. Vela and the Disseminating Parties shall have no responsibility for, and Customer shall not hold Vela or the Disseminating Parties liable for, any resulting liability, loss or damages. 13.1 For the purposes of the Order Form, (1) “Services” shall mean the Vela hosted and managed Market Data services listed in the Order Form; and (2) “Market Data” shall mean such last sale and quotation information relating to securities, bonds and derivatives, index information and such other categories of information as Vela may make available to Customer. For purposes of the MLA, (1) “User” shall also mean any person or entity (including, without limitation, buy-side firms, hedge funds, and/or trade desks) identified by Customer as a point of message or order origination; and (2) “Disseminating Party” shall mean any entity that provides market data to Vela including (without limitation) all parties that assist Vela and the aforementioned entities in gathering and processing Market Data and in making such data available to Vela. Order of Precedence. In the event that any term of a respective exchange’s rules conflicts with any term of this Addendum, the term of the respective exchange shall govern Customer’s use of that exchange’s Market Data.